"So if any man becomes a Vaiṣṇava, he is offering oblations to Viṣṇu every moment, so his forefathers are delivered without any trouble. Without any trouble. If one's son becomes a Vaiṣṇava in the family, he can deliver fourteen generations, up and down. That is the verdict. Not only verdict, this is the version in the Śrīmad-Bhāgavatam. When Prahlāda Mahārāja, offered all benediction, but he declined: 'My dear Lord, I have tried to worship Your lotus feet not for any material benediction. And we are born of a father too much materialistic. Naturally I have got the tendency for enjoy material prosperity. And You are so able, Supreme Personality of God... You can give me any kind of material prosperity. So if You induce me in that way, "Take benediction, whatever you like," naturally I will be inclined. But do not put me into such illusion.' That was the reply. He could ask any benefit... He could ask any material benediction from Lord Nṛsiṁha-deva, but this is not pure devotee. They were pure devotees. 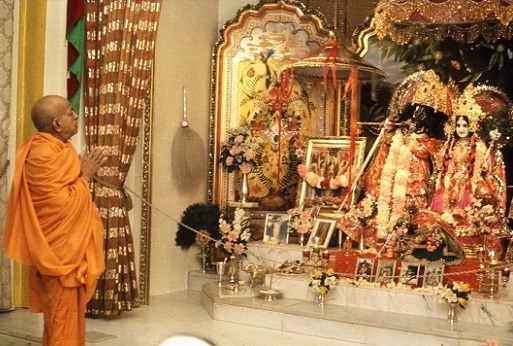 By worshiping Lord, one should not ask for any material benediction. Why they should? That is not the proper... That is not pure devotion. Pure devotion means anyābhilāṣitā-śūnyam, no material desire, anyābhilāṣitā-śūnyaṁ jñāna-karmādy-anāvṛtam (CC Madhya 19.167), without any coverage of fruitive activities and speculative knowledge. Because the real purpose of successful life is to invoke your dormant love for Kṛṣṇa. That is the perfection of life. Caitanya Mahāprabhu... Premā pum-artho mahān (Caitanya-manjusa). That is the highest perfection. 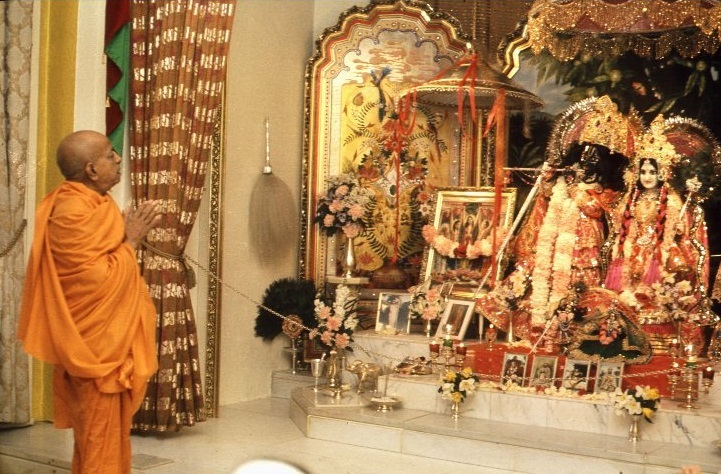 Sa vai puṁsāṁ paro dharmo yato bhaktir adhokṣaje (SB 1.2.6). That is first-class religion, pursuing which one can develop his dormant love for God. That is first-class religion."